Imam Zaid Shakir, one of the foremost Islamic scholars in the West, embraced Islam while in the Air Force in 1977 after a prolonged study of various faiths and practices. 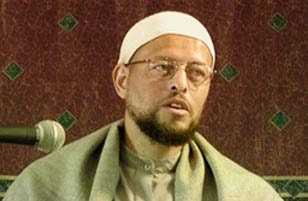 After graduating from Syria's prestigious Abu Noor University, he returned to Connecticut in 2001 and eventually moved to Hayward, California in 2003 to serve as a resident scholar and lecturer at Zaytuna Institute. Imam Zaid is known within the Muslim community and beyond as a social activist, lecturer, and writer. He is one of the most influential scholars in articulating the American Muslim experience. How did he learn about Islam? What were the challenges that he faced? What advice would he give new Muslims? Recently Reading Islam spoke to Imam Zaid and asked him all these questions, and more.